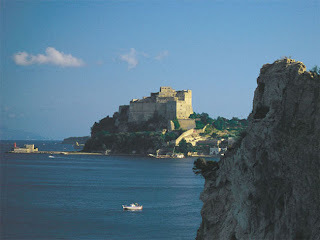 The burning territory that extends from Naples long the coast of the gulf of Pozzuoli until embracing common rich of fascination and history. Earth of ancient legends, history, as they testify the numbers archaeological monuments scatters you for all the phlegrean area. Still today the Phlegrean Fields conserve the propensione to being place of entertainment, leisure, but also of cure and well-being of the body andâ€¦ the spirit. 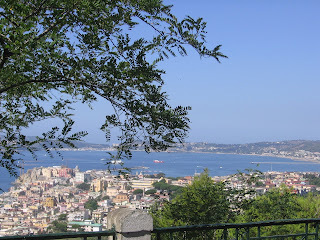 Beyond the western boundary of Naples, beyond the hill of Posillipo, there is an area, well connected to the Metropolis, full of history, art and nature: the Phlegrean Fields. An intact series of extinct volcanoes, in a varied and animated landscape, that crown a blue sea. The breathtaking view here are the sheer cliffs plunging into the still blue sea and lakes like the Averno, Lucrino and Miseno. The Solfatara, the mythical entrance to the Ancient Romans' Hell, is an inactive volcano, part of the volcanic region known as Phlegrean Fields. 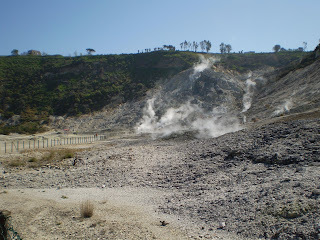 It is famous for its steaming jets of sulphurous vapour at temperatures of 160°C, the emission of carbonic anidride and small volcanoes of boiling mud. 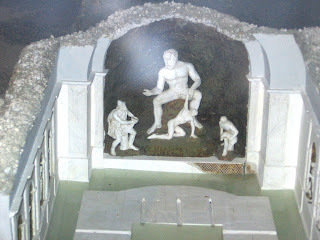 Sulphur was extracted here in the past, and until 1800 it was a spa renowned for its mineral waters, natural saunas and mud. The Solfatara is the epicentre of the cyclic phenomenon of the rising and lowering of ground level in the Phlegrean Fields known as bradisism. During the excavations, which were begun in 1750, a statue of the Egyptian god Serapis was found and therefore the edifice was mistakenly held to be a temple. 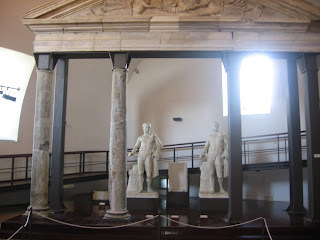 It is L. however nothing else but the "macellum" or the city market annexed to the port area ( I- II c. AD). The three columns of grey cipolin bear evident traces of th boles made by lithodomi (marine molluscs) and show the effects of bradyseism (slow upward and downward movement of the earth 's crust). The Macellum is enclosed in a rectangular area with a porticoed court and a row of "tabernae" (shops) down each side In the middle of the court rises a "tholos", a kind of circular temple whose entablature was supported by sixteen columns. There is a sort of apse in the end wall preceded by four massive columns, of which three are still erect and one lies on the ground. 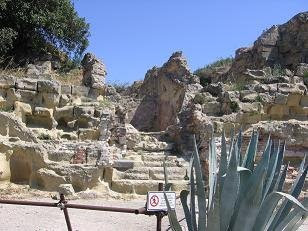 The Amphitheatre of Flavian is the third biggest of the Roman world, after those of Rome and Capua. Such grandeur testifies to the extraordinary technical skills achieved by the ancients. 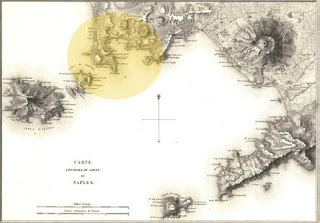 It was located at a crossroads which linked Naples, Capua and Cuma. Capable of holding up to 40.000 spectators, it's three levels were furnished with four main entrances and twelve secondary entrances. As well as being an entertainment provision, the Amphitheatre was also a centre of urban life. Under the external arches of the structure there existed a range of localities dedicated to cults, professional and other groups, all indicated by inscriptions on the stone. 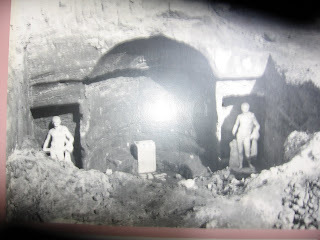 It is particularly rewarding to visit the subterranean complex which gives a good idea of the sort of services and general organisation that must have been required for the functioning of the Amphitheatre. It was also in this arena that some of the first Christian martyrs died. 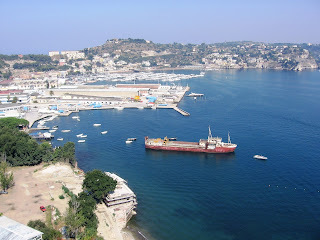 An ancient city and Greek colony of south-central Italy near present-day Naples. Founded c. 750 B.C., it is the earliest Greek settlement known in Italy. 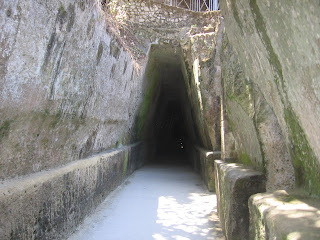 Cumae adopted Roman culture after the second century B.C. and gradually declined as neighboring cities rose to power. Cumae was founded in the 8th century BC by a group of colonists from Chalcis and is among the most ancient archaeological sites in Italy. The area was inhabited from Iron age times and almost certainly since the Bronze age. 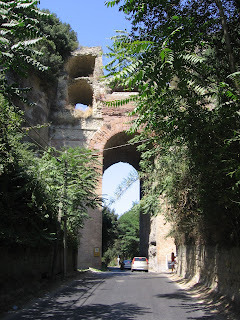 Remains of the Acropolis walls of Cumae dating from the 5th century BC in the Greek period are still visible together with rebuilding work from the Samnite period up to the Roman triumviral period. 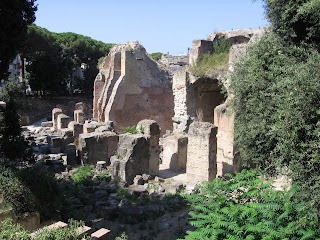 Inside the urban area are the remains of the Apollo Temple, the Temple of Jupiter, the Roman crypt, the remains of a majestic thermal baths from the Imperial age, the amphitheatre and the Forum which has recently been excavated. 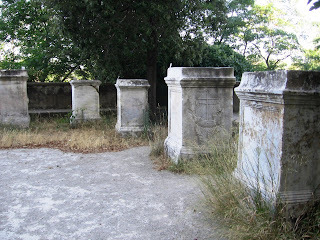 There are also several tombs of Greek and Roman citizens. 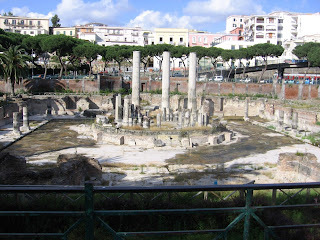 This area is the oldest archaeological site in Italy; the town was founded in the 8th century B.C. 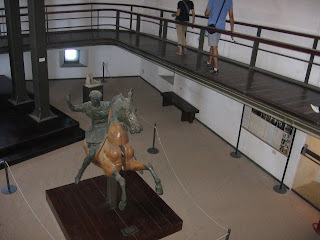 by a group of Greek colonists. The Acropolis still has its 5th century B.C. 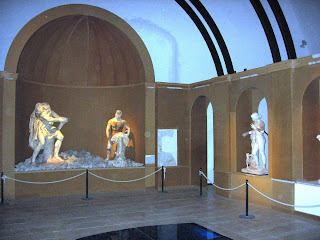 walls, and comprises the Temple of Apollo, the Temple of Jupiter, the famous Grotto of the Sibilla, the Roman crypt, the remains of an impressive thermal baths and the Amphitheatre. 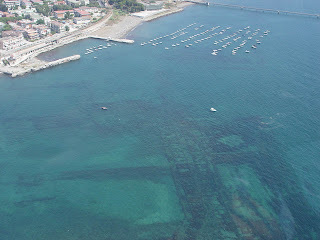 This site has been submerged by a form of volcanic activity called bradyseism, which has lowered by some meters the place where the Emperor Claudius built the city as you can see in this video http://www.youtube.com/watch?v=mTG2jtbxFrU and status and other staff are now preserved in the Aragonese castle (Baia museum) as you see in the post below. Present here are ten bases an eleventh also pertains to the complex but was uncovered in the year 700- belonging to the porticoed area in front of three buildings reserved for worship and all related ceremonies.